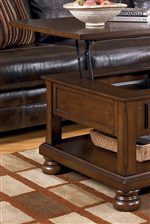 Add rustic style and function to your living room with the Sofa Table/Media Table. 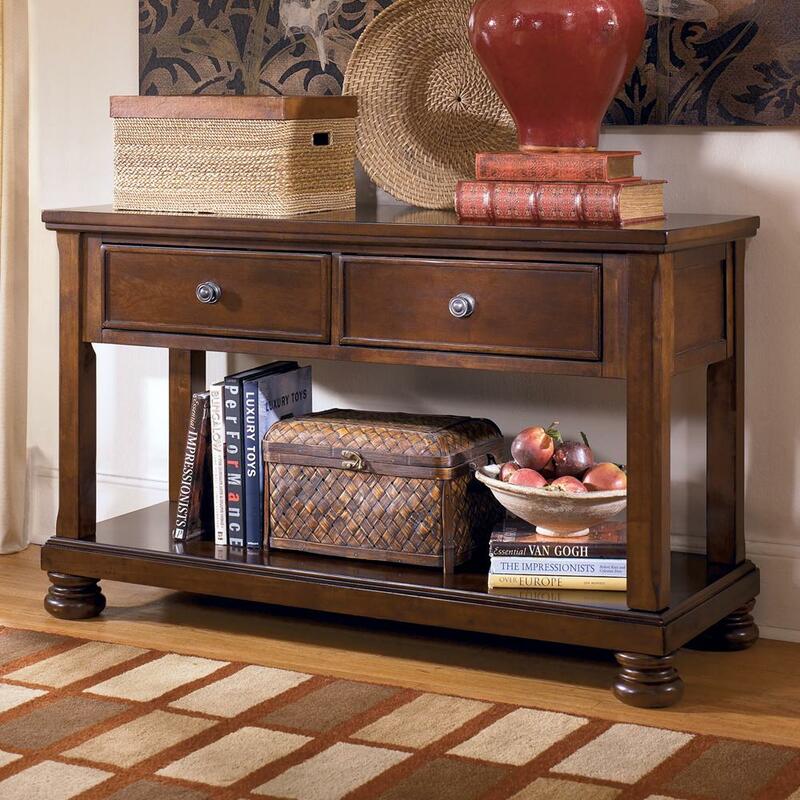 The table works great as a console table to use against a wall or behind a sofa for storage and display. 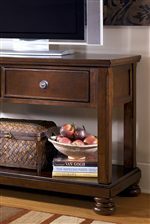 Another versatile use is to use this console with your widescreen TV and other media components. The spacious shelf, two drop front drawers complete the storage options. Turned bun feet complete the look of this great table. Each Drawer, with Drop Down Front: 18 1/4" x 13 1/4" x 3 7/8"
From Shelf to Apron: 15 3/8"
Shelf: 52 1/8" x 20 1/4" x 2 7/8"
The Porter Sofa Table/Media Console with Drop Front Drawers by Signature Design by Ashley at Michael's Furniture Warehouse in the San Fernando & Los Angeles area. Product availability may vary. Contact us for the most current availability on this product. The Porter collection is a great option if you are looking for Traditional furniture in the San Fernando & Los Angeles area. Browse other items in the Porter collection from Michael's Furniture Warehouse in the San Fernando & Los Angeles area.